A male Yangtze giant softshell turtle pictured at Suzhou Zoo on May 6, 2015 in Suzhou, China. 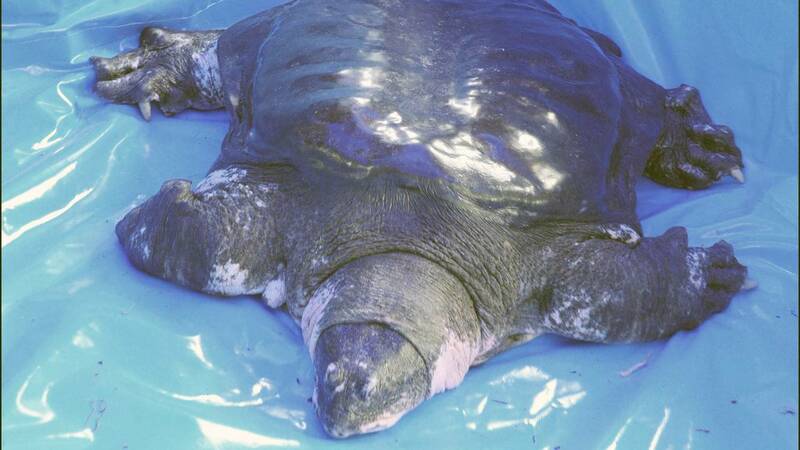 (CNN) - The last-known female Yangtze giant softshell turtle has died in China, according to Chinese state media, potentially dooming the species to extinction. The Suzhou Daily said the experts collected ovarian tissue samples and would store them "for future use." The Wildlife Conservations Society (WCS) calls the Yangtze giant softshell turtle the world's most critically endangered turtle species, killed off due to hunting as well as habitat destruction.